. إن North Ryde Guesthouse Accommodation حريص على توفير الراحة للنزلاء، فلا يوفر الموظفون جهداً في تقديم أفضل الخدمات وضمان حسن الاستقبال. يمكن للنزلاء الاستمتاع بالميزات التالية: واي فاي مجاني في جميع الغرف, تخزين الأمتعة, واي فاي في المناطق العامة, صف السيارات, خدمة الغرف أثناء إقامتهم في هذا المكان الرائع. 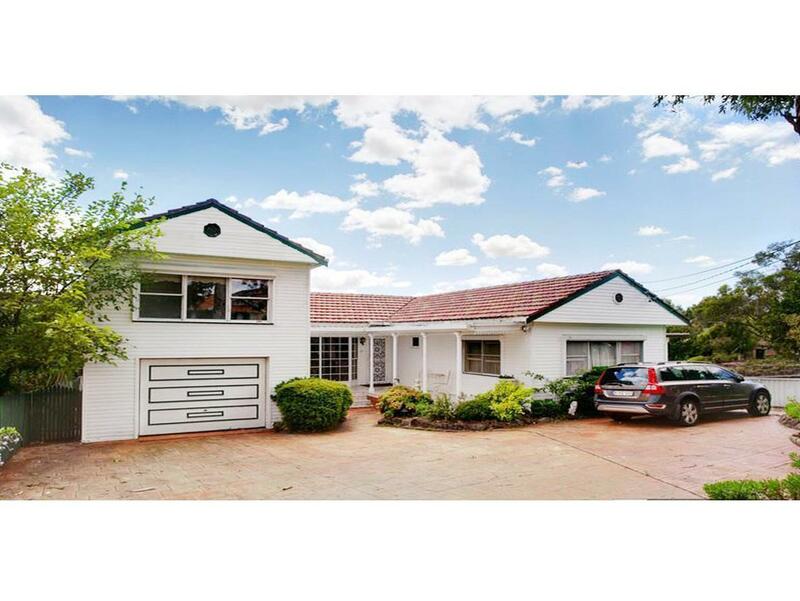 تنعكس أجواء North Ryde Guesthouse Accommodation في غرف الضيوف.تلفزيون بشاشة مسطحة, اتصال لاسلكي بالإنترنت, اتصال لاسلكي بشبكة الإنترنت (مجاني), غرف لغير المدخنين, مكيف هواء هي بعض الميزات الموجود في العديد من الغرف. يقدم الفندق خدمات رائعة كمثل حديقة لمساعدتك على الاسترخاء بعد نهار طويل من النشاط والتجوال في المدينة. 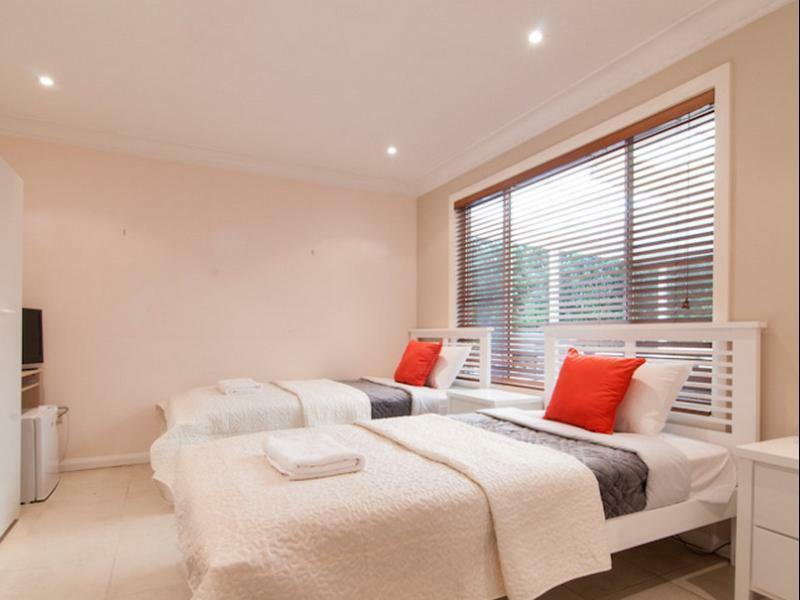 إن North Ryde Guesthouse Accommodation هو خيار ذكي بالنسبة للمسافرين إلى سيدني، بما يوفره من إقامة هادئة ومرحة. مكتب الإستقبال مفتوح من 06:00 AM إلى 10:00 PM. الضيوف الذين سيصلون خارج هذا الوقت بطلب منهم التواصل مع العقار مباشرة قبل موعد الوصول لترتيب هذا الأمر. يُرجى العلم بأن اللاونج المشترك تُغلَق الساعة 11:00 مساءً كل ليلة. 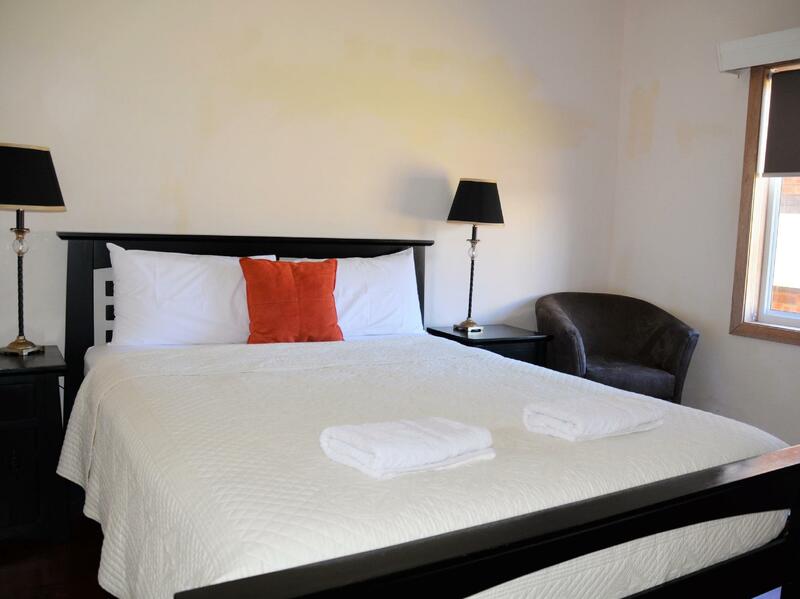 Room was clean, we had room 5 with queen bed plus single bed plus private ensuite. There was tv, mini fridge and aircon in the room. Arrived at 10.30pm after office hours. Key was left in safe which we were provided Information for. Book this room type as I had my 16 yr son with me. On arrival the single bed was not made up so used two blankets for top and bottom sheet. Not what I was expecting, but we made do. Breakfast was exactly as expected and what the pictured showed. I believe there may have been some wildlife on or in the roof that needed to be looked into. Internet worked in our room with no issue. Parking was tight but the front yard did fit 4 vehicles and may squeeze 5 in if medium to small. So would I stay again, yes if needed basic accommodation in the area. I only stayed for one night but was perfectly comfortable. 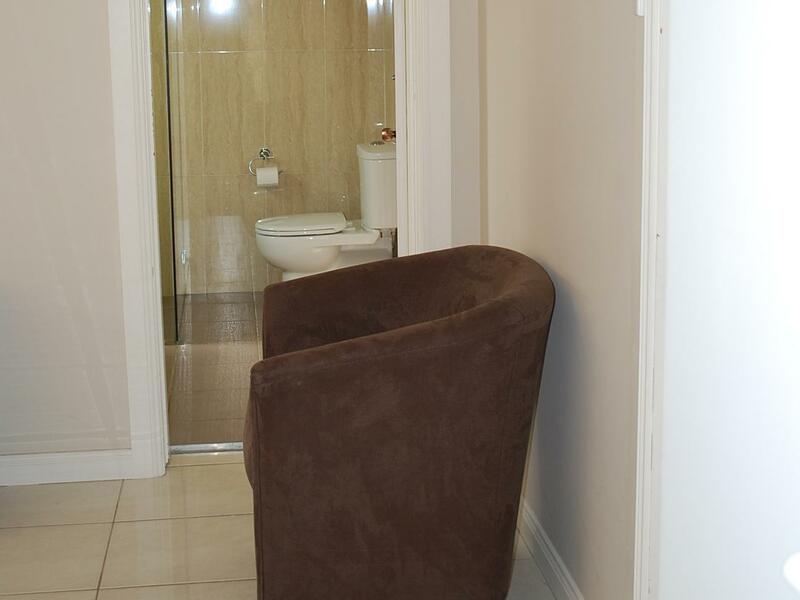 in a room with en-suite bathroom. Generally OK overall. Only 3 spots for parking inside and awkward to manouvre out. No instructions that you can park safely out on road. My online booking showed a room of a double and a single bed but ended up with just a queen bed. Needed original booking as my friend had a medical condition which would have been more comfortable. Basically room price was equal to what we got. Email received with instructions to get key but no one around on arrival to welcome or get information. Guesthouse ad mentions access to balcony and garden. Couldn't find access out there. Need car to get to nearby shopping and train. Perfect for us who were attending a nearby function. Did not want to spend "heaps" just to sleep. Don't expect too much then you will be satisfied.Treat it as a friend's home and respect others.Different kinds of room provided but you can only book the shared bathroom ones with online agent. For others, contact the owners. I advise you to bring your gps and all the stuff you need.Prepare your own breakfast. Towels,toilet tissues,a box of milk, coffee,tea, a fridge and cooking utensils are provided. The place is quiet and you can sleep very early. The room is clean but room service is only twice a week. 'Central heating'will be switched on at seven in the evening.Enough blankets are provided and the temperature is warm inside the room. The worst is that you have to pay five dollars whenever you cook.I advise the owner to adjust the price so that the cost can be covered instead of collecting it once by once. Pretty Bad. The owner was pushy, bed was too soft and poor heating in a cold room. This is my fourth time to stay in this guest house. It is great value and comfortable. We would definitely stay again. room is cleaned and bedsheets chsnged only every 3 days. The house is cleaned in general. However, there is only one shared toilet and one room with En-suite. A bit inconvenient for guests. 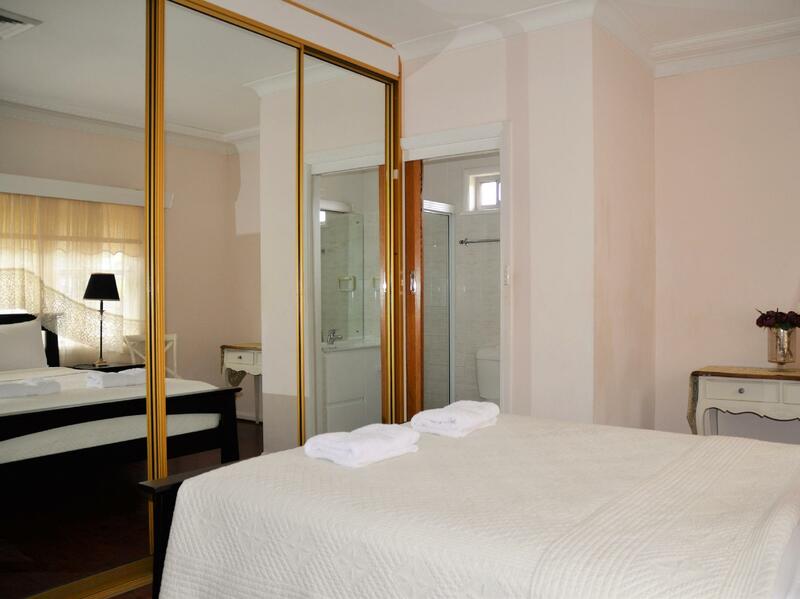 We usually stay at the North Ryde Guesthouse when in Sydney and prefer the peace of a homely environment rather than a more impersonal hotel. It is great to be able to make your own breakfast, sandwich & coffee etc. Clean towels and room but bathroom is not very clean. And also there is no heater. The pl e is very cold during winter. No staff assistance at all. it was nice. the place is clean and quiet.